So last week when Bill & I boarded a plane bound for Amsterdam, I’m not sure what I was more nervous about…European travel (a new one for me) or teaching to a Dutch speaking class…I was way out of my comfort zone and crossing items off my personal and professional bucket list left & right! 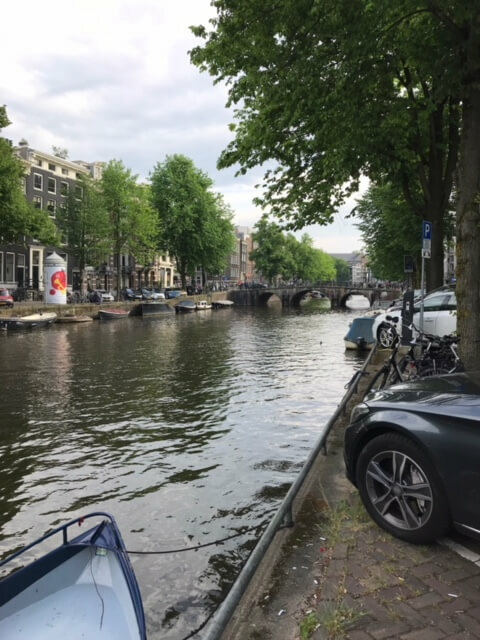 The canals of Amsterdam – just outside our hotel door. After a day of soaking in the sites of Amsterdam, we boarded a train towards Roden, home of DeHandwerk Boetiek. Annemiek, the shop’s owner, graciously welcomed us into her home. I immediately felt at ease & among friends. 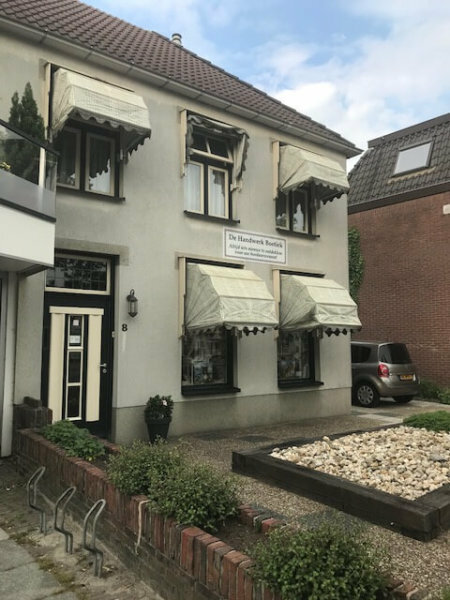 De Handwerk Boetiek – it looks just like it did in Google Earth!! 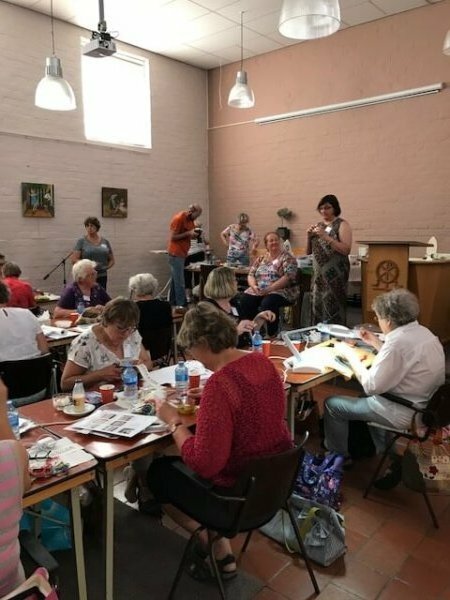 As stitchers started arriving the next morning for the workshop, Annemiek & I fell into an easy pattern of me, explaining a few of the steps in the finishing process, then Annemiek translating. I was thrilled that so many of the stitchers were comfortable talking with me and asking questions in English. Me explaining & Annemiek interpreting! As the day progressed, I felt like I could even interpret a few of Annemiek’s explanations. 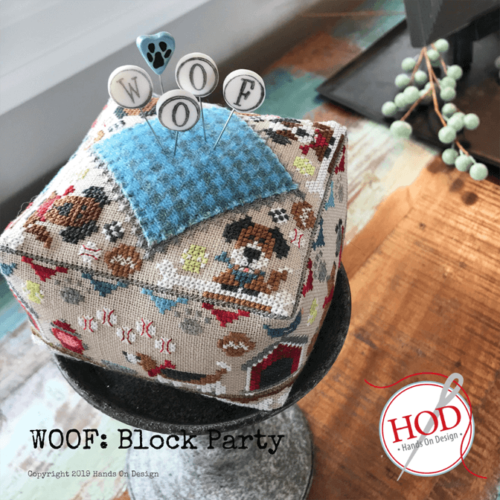 It struck me that we were able to pull this together because of stitching. Stitching was the universal language and let me tell you, these ladies were not just a delight to have in class, they were an immensely talented group of needle artists. All of the stitchers…hard at work! A weekend of humbling moments, it is still sinking in to know that my circle of stitching friends has widened this far! We held a meet and greet back at the shop for those that couldn’t attend the workshop. 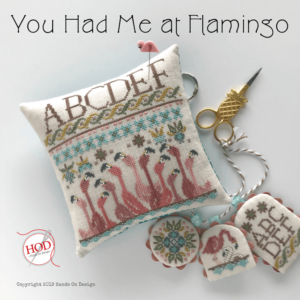 I was honored to have a stitcher bring me her finished HOD designs to show off to me! What would class time be without the class photo! 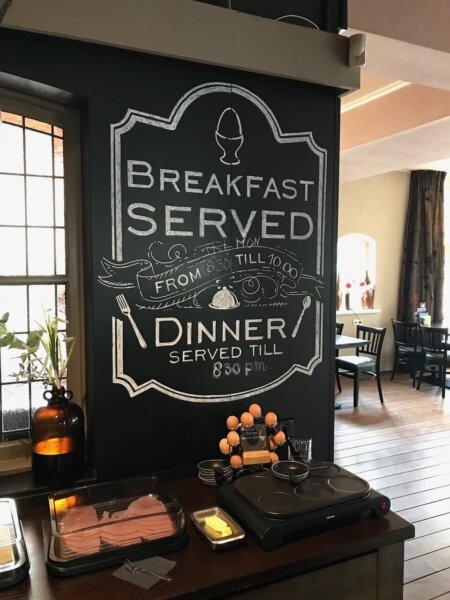 Talk at that evenings meal touched on comparisons of their workshop to retreats that I have taught at home in the states: again, I was struck with the universal nature of these events. 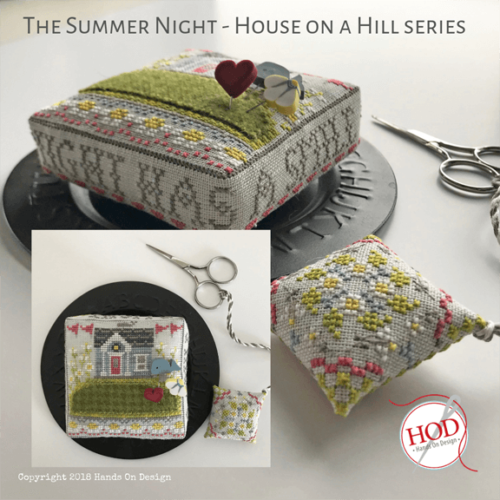 As stitchers, we love to come together in friendship and community with other stitchers. Through Instagram I’ve discovered some amazing dutch stitchers. beautiful, beautiful work. i didn’t have time this year, but one was hosting a ‘band a week’ along. I am drawing a blank on his name, but there is a young man who is dutch but lives in the uk who does reproductions of european religious needlework that is exquisite. Your Dutch workshop was not only very interesting and upliffting, but also great fun. I feel very privileged to have been a student at your first European class. I am sure many more will follow. 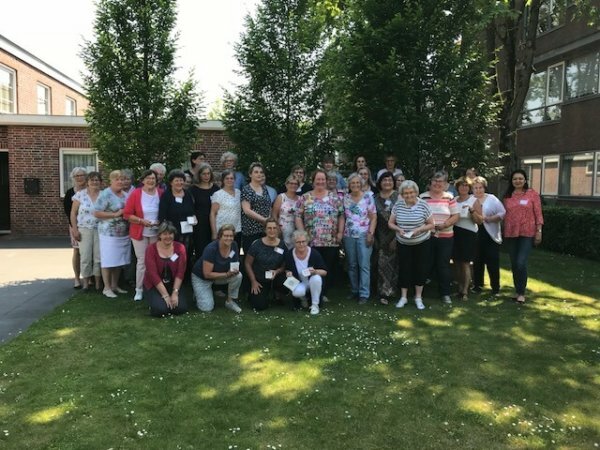 Thanks for that great day, where I could also meet my friend Annemiek again and see her enjoying herself with all her stitching friends/customers around her. 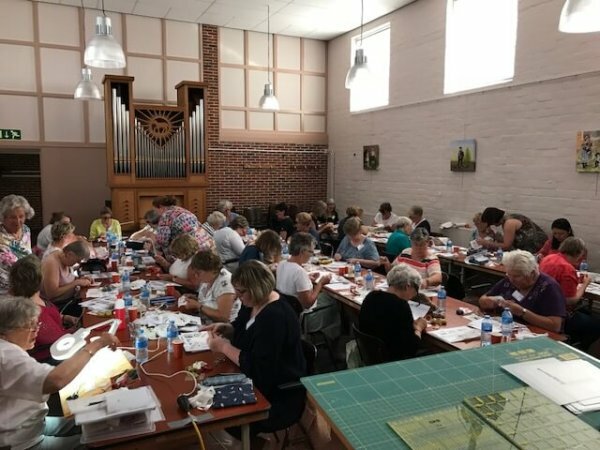 Enjoyed the photos and seeing the ladies stitching! They, no doubt, are capable of doing amazing work. thank you for sharing this once in a lifetime (hope not!) experience with us all. 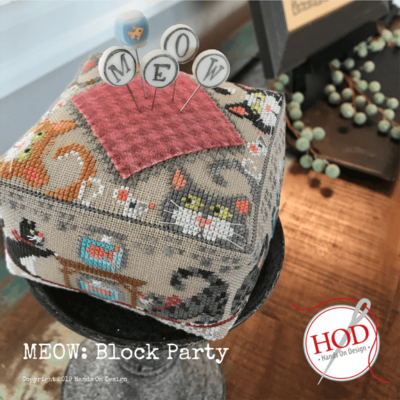 Where can I get the pattern for the pincushion an tray with the sewing theme pictured on your homepage liking to your blog? Is it available or just one you used with your class in the Netherlands? Geri, Thank you for your message. Stitch in the Garden is still currently a class only piece. It will release at some point as a chart.